Shares of MSTC were locked in the upper circuit of 5 per cent at Rs 117 in intra-day trade on the BSE, after making a weak debut. The stock listed at Rs 111, a 7.5 per cent below its issue price of Rs 120 on the BSE. It has hit intra-day low of Rs 110 so far. Till 10:11 am, around 31,000 equity shares had changed hands and there were pending buy orders for 13,128 shares on the BSE. 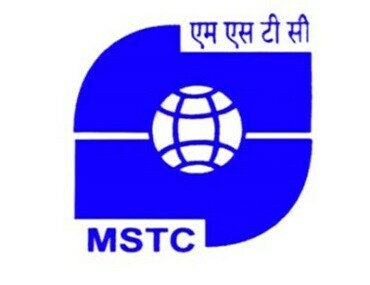 On the National Stock Exchange (NSE), shares of MSTC opened at Rs 115, a 4 per cent discount to the issue price. It touched a high of Rs 120 and a low of Rs 111, exchange data shows. MSTC is a leading public sector undertaking that provides e-commerce related services mainly to government entities. Its services include e-auction/e-sales, e-procurement services and development of customized software/solutions. The Rs 226-crore offer comprised an offer for sale by the government of India of 7.04 million shares. The objects of the issue is to carry out the divestment program of the government of India apart from the benefits of listing the equity shares on the BSE and the NSE and to enhance its visibility and brand image and provide liquidity to its existing shareholders. The government of India will hold 74.9 per cent of total paid-up equity share capital of the company post listing. Future key revenue drivers for MSTC’s e-commerce segment would be the spectrum auction for the telecom players, auction of coal blocks for merchant mining, privatization of government assets & lands etc. It is expecting an increased business from the agricultural & forest produces, mainly through the recently launched JaivikKheti portal. Choice Equity Broking had assigned ‘subscribe’ rating to the issue. “On the valuation front, at higher price band, the company is demanding a P/S valuation of 0.4x (to its FY18 sales). Moreover, based on FY19E and FY20E sales, it is demanding a P/S valuation of 0.3x. Considering the importance and positioning of its services among various government entities, favorable government policies for business growth, stable dividend payout and improvement in the financial performance, the issue seems to be attractively priced,” the brokerage firm said in an IPO update.